Those of us working toward ending poverty and creating a world without hunger know the truth of this proverb. That’s why school feeding programs like Stop Hunger Now’s are so effective and so powerful. When meals are provided at schools the enrollment doubles, triples and sometimes increases even more, and most of that increased attendance is from girls. And even 3-4 years of school can dramatically change a girl’s life forever. We have learned that educating girls and young women actually changes their communities for the better. 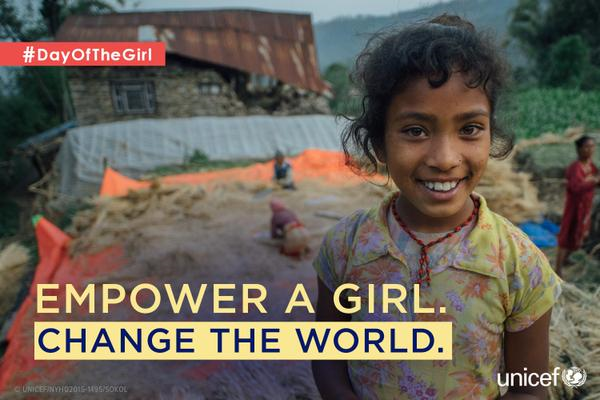 Empowering girls does change the world. Believe it. The “Girl Effect” is real. This entry was posted in Hunger & Poverty, News & Views, Quotes and tagged #DayOfTheGirl, communities, education, girl effect, girls, hunger, Kenya, meal packaging events, poverty, proverb, school feeding programs, Stop Hunger Now, UNICEF on December 26, 2015 by Ray Buchanan. My brother recommended I would possibly like this blog. He was once entirely right. This post actually made my day. You can not imagine just how much time I had spent for this info! Thanks!